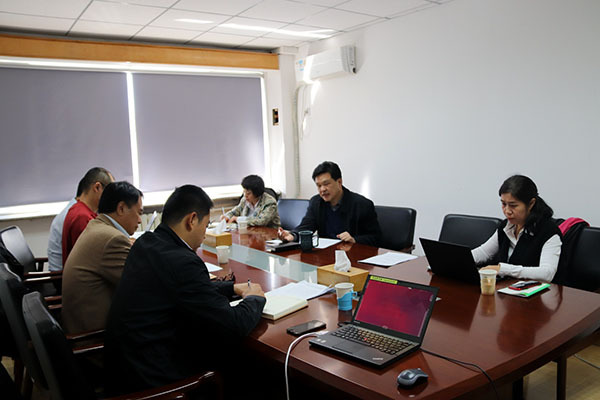 On March 22th, Qiao Jianyong, President of BUPT, chaired a science and technology work session, and the leading group and some relevant personnel of Institute of Science and Technology Development attended this session. After listening carefully to the report, Qiao Jianyong approved the overall plan. He stressed that we should boost confidence and steadily forward our work of “The Action Plan”, and he also put forward the following five points: First, to make scientific research with the guidance of “The Action Plan”. Second, to thoroughly deepen the reform to streamline government administration, delegate more powers, and improve regulation and service, for us which is to explore pilot stages for a responsible system of scientific research funds and realize the cooperation and communications between scientific research teams with the support of policy and fund. Third, to give full play to the colleges’(the institute’s) initiatives. Fourth, to plan and promote the deep collaboration between our school and research institutes as well as large enterprises. Fifth, to make an integration of “The Action Plan” and “Double First-Class” construction in BUPT.